TL; DR: TFS Scholarships, a free online resource for higher education funding, is committed to helping students and their families gain access to a broad selection of scholarship information. Since 1987, the company has developed a reputation as a trusted source that will never sell private data. With plans underway to better help students navigate the application process, TFS is building a financial support system for every stage of the college journey. During the late ‘80s, as bulky, cream-colored desktop computers began to make their way into schools and home offices, Richard Sorensen and his father, a principal at an inner-city high school in Salt Lake City, were itching to explore the technology field. “As we were looking for something to do in tech, my father said, ‘If you could come up with a way to help students find scholarships, that would be valuable — most parents assume schools help their kids with that task, but guidance counselors don’t have time,’” Richard said. So Richard got to work on a computer program packed with educational funding resources. About a year later, the Tuition Funding Source (TFS) software program, available via floppy disk, was complete. But software, in general, was expensive at the time, and this project was especially labor-intensive. To make a profit, Richard had to charge each school $3,500 to purchase the program. TFS Scholarships is a trusted scholarship source. Fortunately, Richard had connections at Pepsi-Cola who wanted to offer the software as a signing bonus for school vending machine contracts. The partnership was a success until 2012 when health concerns prompted schools to remove sodas from campus. Since then, Wells Fargo has sponsored the product. 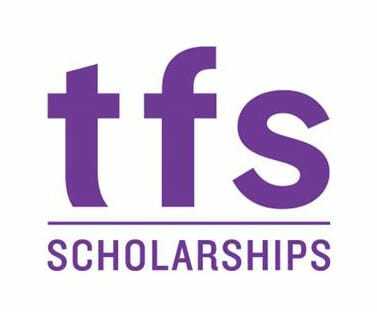 The company, now known as TFS Scholarships, has grown over the years from a passion project into a trusted source of comprehensive online scholarship services. Today, TFS empowers students and families to enjoy free access to more than 7 million scholarships representing $41 billion in funding. With fresh financial opportunities added every month, TFS is committed to helping scholars find the financial support they need to pursue brighter futures. To that end, the ad-free TFS website provides direct access to more than 7 million college and university scholarships around the country, which equates to more than $41 billion in funding. Unlike the paper-based, mail-in application processes of yesteryear, TFS enables students to complete and submit their applications online. 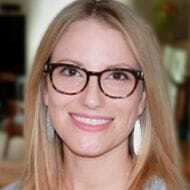 TFS Scholarships provides free access to a massive database of $41 billion in funding. That’s why Richard advises students to start applying for scholarships in August of their senior year of high school — and continue to apply every quarter they’re in college until graduation. After all, tuition and fees are always rising. According to the CollegeBoard’s Trends in Higher Education, the average published tuition and fees at public four-year colleges beyond inflation increased by an average of 3.1% in the last decade. Students can turn to the TFS website for additional guidance, including financial aid information, resources about federal and private student loan programs, and a Career Assessment Test that helps students identify the degrees and professions that best fit their skills. Additionally, the company’s Twitter, Facebook, and Instagram accounts feature a slew of resources, including the Scholarship of the Day. The majority of TFS scholarship opportunities come directly from colleges and universities, rather than the competitive national scholarship pool alone, which increases the chances an applicant will find relevant and attainable opportunities. Since these financial opportunities are harder to find, there’s a higher chance that applicants might receive them. Richard said other lesser-known scholarship opportunities include those offered by brands looking to increase market awareness. TFS helps ease financial worries as one of the most trusted educational funding resources online. TFS helps a wide range of individuals find scholarships, from high school and college students to adults looking to pursue education for a career change. Other unique categories include scholarships for international students, studying abroad, and DACA students. The site also offers scholarships for graduate and professional students focused on subject areas such as medicine and law. In fact, more than 30% of the TFS database includes scholarships, assistantships, and fellowships for these students. To maximize the number of opportunities students have to earn funding and keep up with national scholarship growth rates, TFS adds more than 5,000 new scholarships to its database every month. Richard said the majority of career and college planning websites use funding opportunities as bait to gather marketing data and sell it to other organizations. In 2018, The New York Times reported that thousands of students filled out college-planning questionnaires, giving away personal information that was later sold for target advertising purposes. Likewise, many scholarship sites sell personal information, such as email addresses, phone numbers, and home addresses, to colleges and textbook companies. TFS has been against that approach since day one, with Pepsi-Cola’s support. College students often face a significant amount of stress. According to the Center for Collegiate Mental Health, 61% of college students who seek counseling report symptoms of anxiety, and 49% have concerns about depression. It follows that having a safe and trusted place to search for financial aid is a must, especially for these students. TFS is currently developing tools to help students manage the application process, which can be a cumbersome task. The company’s new tools will make that process much easier, but Richard said applicants should still spend three to four hours a week applying and following up on applications. “The thing that most people don’t realize is that, if you get $50,000 in scholarship money and your tuition that year is $20,000, you get a check back for $30,000,” he said. Considering that TFS is 100% free, that’s a pretty good return on investment.